You can include your Yale Z-Wave Lock by first clearing it from the network. Next, put your system into its Z-Wave inclusion mode. Bring your lock close to the Z-Wave hub, and activate its inclusion function. The lock should pair with the network. You may need to configure its settings. Yale Z-Wave Locks generally follow a similar inclusion and exclusion process. The process usually involves entering a specific code into the lock's keypad. This will put the lock into an inclusion or exclusion mode. Then put the Z-Wave controller into its own corresponding mode. The lock will be included or cleared from the Z-Wave network accordingly. Keep in mind that you should always clear the lock first before including. This will help ensure that the lock can pair successfully. 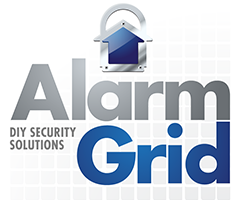 Remember, your alarm system must have a Z-Wave controller to support a Yale Lock. With a Yale Lock, there are a few things you should keep in mind. The lock will have a Master PIN Code that is used for making changes to the Z-Wave settings. The Master PIN is chosen by the user by adding it to the lock. It can be between four and eight digits in length. This code is also used for locking and unlocking, so it should be known by the main user. This is just a general rule for Yale Z-Wave Locks, and it may not apply to every model. Depending on the lock's model, the device should also have a settings key (usually a gear icon) or a [#] key. These keys are used for entering certain commands. Whether your lock has a settings key or a [#] key, they both provide the same function for the purpose of this FAQ. For simplicity, we will just refer to this key as [#]. But just know that if your Yale Z-Wave Lock doesn't have a [#] key, then you can press the settings key in its place. The command for putting the lock into its inclusion mode is [Master PIN] + [#] +  + [#] +  + [#]. The command for putting the lock into its exclusion mode is [Master PIN] + [#] +  + [#] +  + [#]. Make sure you use the appropriate command as you pair and clear the lock. The Z-Wave controller should also be in its corresponding inclusion or exclusion mode for any entry to go through successfully. Again, these are just the general codes, and some Yale Z-Wave Locks may follow a different process for including and excluding. Please note that the device may have to be unlocked whenever you go to include or exclude. 1. Enter exclusion mode. You should put your alarm system into its Z-Wave exclusion mode for clearing devices. This is often done from the panel by accessing an automation menu. Other systems may have an external Z-Wave controller with an enrollment button that is used for putting the controller into its inclusion or exclusion mode. Refer to the manual for your system or your Z-Wave controller for more information. 2. Clear the lock. Bring the Yale Lock into close proximity of the Z-Wave controller. A distance of about one foot is recommended. With the lock powered on, enter the command [Master PIN] + [#] +  + [#] +  + [#]. The lock should enter its own exclusion mode and send out a transmission to the Z-Wave controller. The Z-Wave controller should recognize this command and clear the lock from the Z-Wave network. The panel or external Z-Wave controller should provide some visual indication that a device has been cleared. 3. Enter inclusion mode. Next put the panel or external Z-Wave controller into its inclusion mode. Again, this is usually found in a panel automation menu or by pressing a button on an external Z-Wave controller. You should refer to the manual for your security system or its added Z-Wave controller for the exact steps on how to do this. 4. Pair the lock. Just like when you cleared the lock, the Yale Lock and Z-Wave controller should be in close proximity. Enter the command [Master PIN] + [#] +  + [#] +  + [#] on the lock with the device powered on. The lock will enter its inclusion mode and send out a transmission to the Z-Wave controller. You should receive visual indication on the panel or the Z-Wave controller that a new device has been added. Depending upon your equipment, you may be required to go through and configure the settings for the lock.